A heat spell hit Allegany State Park today with temperatures reaching 50 degrees F. MacKenzie asked nicely to have our first walk around Red House Lake and we kept finding critters also enjoying the sunshine. The Skunk was up in the field searching for grub . . . . . . Kenser that isn’t a kitty or squirrel . . . . it didn’t seem too concerned that we were passing through the area. Honk . . . Honk . . . Honk . 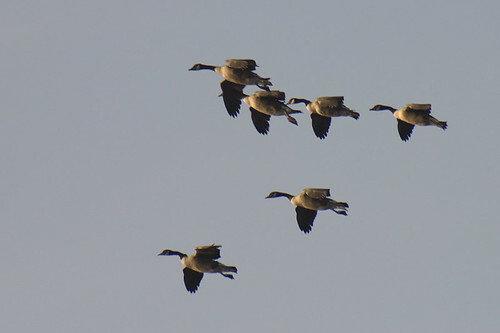 . . Canada Goose were flying North!! I got one report of Tundra Swans but I have not found any yet! I anticipate tomorrow in finding swans pushing through the area with these warm temperatures. I have been hearing Brown Creepers all day singing up a storm!! They are soo loud for such little birds!! Yes . . . today was a good day!! This entry was posted on 9 March 2010 by mon@rch. 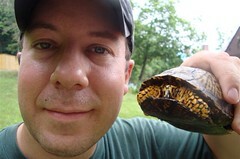 It was filed under Allegany State Park, Birds, Flickr, iPhone, migration, Nature, photography, Weather . What a delightful day afield. 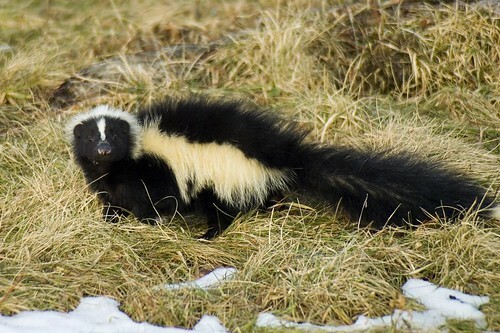 You must have a good zoom lens to get that close to the skunk. The brown creeper looks like it is in your hand it is so close. Wow. Love that brown creeper pic! 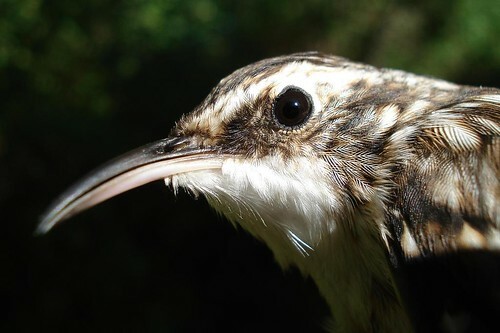 The Brown Creeper picture is awesome! Well done! Glad you didn’t get skunked! Cute creeper. Also love the perspective of the dog leading the way. Mid 50’s here too. I have seen a few gaggles of geese (fun word to say). Perhaps spring is on its way. Lovely walk and great photos. The Brown Creeper shot is awesome! Excellent post. I love all the photos. The skunk is great but that shot of the Brown Creeper is really unbelievable! Fantastic! yay Spring-I say bring it on!